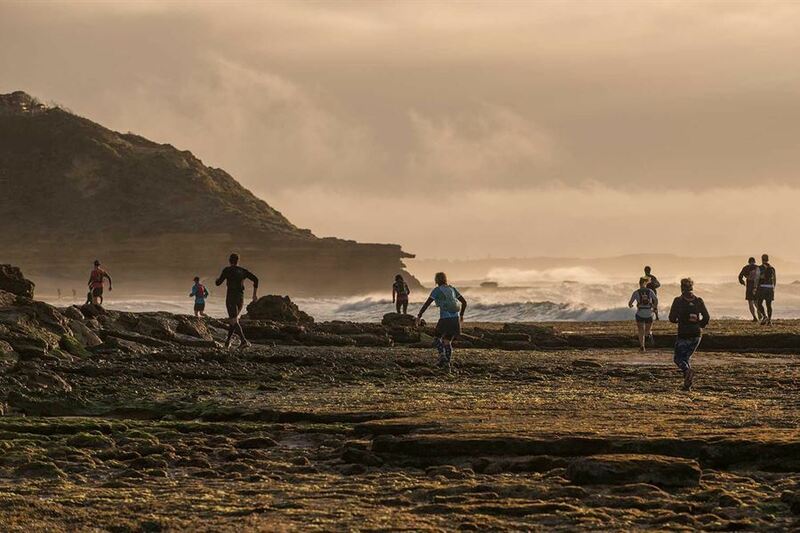 The 2018 Trail Running Series presented by The North Face Race 4 will be held at picturesque Anglesea on the Great Ocean Road on the coast – it's a spectacular run that’s very different to all others in the Series. Located just 1hr 15mins from central Melbourne, Anglesea’s setting provides for a diverse trail running experience that will really set it apart from the other races in the series due to the coastal, bush and undulating landscape. All races start on the crisp white sand of the Anglesea Main Beach before runners climb away from the coast along a healthy mixture of single tracks and double tracks that sweep through the coastal bushland like the local King Parrot flying through the forest. The Surf Coast Walking Track provides spectacular views across the clifftops to nearby Point Roadknight and further down the coast to Aireys Inlet, Lorne and beyond that will really make you revel in the fresh air and happiness of trail running. Whilst the three races are the longest of the series, consensus is that they are not the hardest of the series due to smaller hills (compared to Race 3) and the undulating flow they capture through the bushland. Spectators (and runners) should also be aware that the Surf Coast Century is also on in Anglesea over this same weekend and provides numerous spectator opportunities.